If you need to get Pre-Qualified for a Home Loan in Florida,you have come to the right place. It is wise to get-prequalified for your home loan way before you go searching with your Realtor. If you don't have a Realtor, I can certainly recommend a good one. Here is an updated version of what is a Pre-Qual and what is a Pre-approval letter. Are you Pre-Qualified to get a Home Mortgage? That is the million dollar question that everyone will ask you. Before you begin to shop for a new home, we should discuss your home loan. We need to discuss how much house you can afford and where you would like your payment to be. We will look at your out of pocket expense required for cash to close on your loan. This will give you the piece of mind for when you go shopping. You will know that you are searching for a home that is affordable and right for you. It is always smart to be in a strong position as a buyer knowing that you have done your home work and you are prepared to make an offer at a moments notice. Today's market is moving quickly for buyers. Homes are selling in less than 30 days so you will need to have your ducks in a row and be prepared to move quickly. This is where I help. Be Prepared for your mortgage and your purchase - Especially in today's seller's market, homes are coming on the market and getting under contract very quickly. Here is myself talking about the state of the real estate and mortgage market as of the beginning of October 2013. As you may know, I work out of West Palm Beach area but I help clients with their mortgages all across the state of Florida. Any busy Realtor won't spend too much time with you unless you have been properly Pre-Qualified by a Lender such as myself! To begin the process of getting pre-qualified, please give me a call at 561-329-0075. 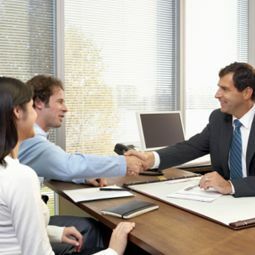 We will discuss your job history, your credit and your source of funds for closing. It is my job as your Mortgage Banker to look deep into your file and spot any potential pitfalls way before you actually begin the process and spend time and money. If you wish to start the process on-line, you can go to my On Line Loan Application Link and start filling out the information. You will not ne asked to provide a social security number, I will be notified immediately and will follow up with you by phone and email. 1. A legible scanned copy of your Driver's License and Social Security card. 2. A copy of your two most recent paystubs. 3. A Copy of your last two years W-2’s and last two years tax returns. 4. If you are self-employed we will need to see your last two years tax returns along with a year to date profit and loss statement. If you have a corporation we will need to see a copy of those returns as well. 5. Your last two months bank statements. A lot of what we do is sourcing cash for closing so we will examine those statements and have to explain any unknown large deposits. 6. A copy of your purchase contract when available. During the pre-approval process, I will ask questions and collect your information regarding credit, income, assets and debts. We’ll look at your credit profile and determine an amount of a down payment and get an idea of the different mortgage loan programs that you qualify for. I will issue you a pre-qualification letter indicating how much house you are pre-qualified to buy. This is something that your realtor will use to show any potential listing agents and demonstrate that you have done your homework and that you are ready to actually purchase their home. It is important to understand that a pre-qualification letter is just an estimate of what you are eligible to borrow, not a commitment to lend. But we will pull your credit, embed it in your file and submit the file on-line to either FHA or Fannie Mae/FreddieMac . This is known as "Automated Underwriting." In the beginning of the process, I will be able to tell you "Yes, No or Maybe" . Every file in today's mortgage banking world is run through Automated Underwriting which gives us a feedback that we can stand behind. Of course we have to verify the numbers submitted with pay-stubs, W-2's, credit reports and bank statements. That will begin as soon as your offer is accepted or just before. Once your offer is accepted we will assemble your file and ship if off to my underwriter. This is the validation phase of the loan process where the underwriter has to agree with the information submitted. Usually we will get a short list of additional details that we must answer. Then we satisfy those questions and get your file into closing and funding. Below I have provided additional links that will help educate you as far as what to expect during the home buying process. Home Buyer Guide 2010 This link is lengthy and will educate you on every facet of getting a mortgage. This is something that is useful for First Time Home Buyers as well as clients who are purchasing their third or fourth home. First Time Buyer Video Series This is a bunch of YOUTUBE video I put together that covers much of the same information as the homebuyer guide but it is me talking at you rather than reading it on your own. The Mortgage Process Series Additionally, I have created the mortgage process series that details what goes on after you fill out the paperwork and we submit your loan to the bank. It is my job to get you the best interest rate and deliver the absolute best service and this is one way that I do it.